Is the most recent addition in permeation test systems for measuring oxygen transmission rates of barrier films and packages. The OX-TRAN 2/61 detects and measures small amounts of oxygen as it passes through barrier materials such as plastics and composites used in all forms of packaging. Ideal systems for production and QC/QA testing applications. This system incorporates the latest in high-sensitivity sensor design and features 6 test cells for flexibility and speed. Includes precise RH & temperature measurement and control, user selectable sensitivity, package testing capabilities and N.I.S.T. (National Institute of Standard and Technology) traceable calibration films. 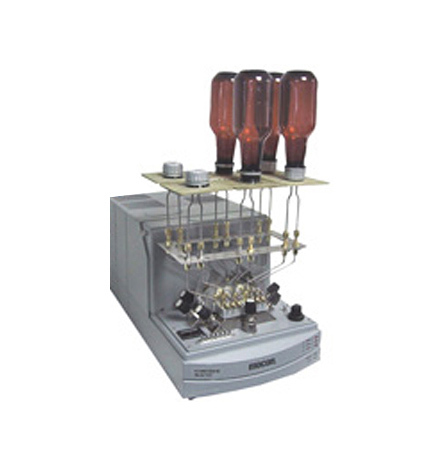 Oxygen permeation rate test system for flat films or finished packages with the capacity to test up to six samples simultaneously.